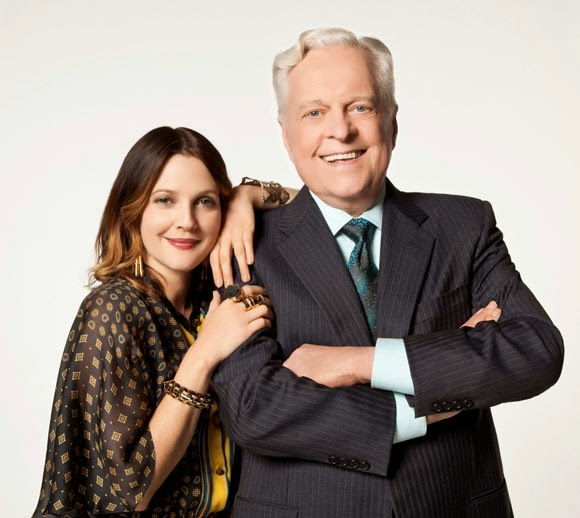 Robert Osborne, renowned host of TCM (Turner Classic Movies), will be participating in this year's S.T.A.G.E. 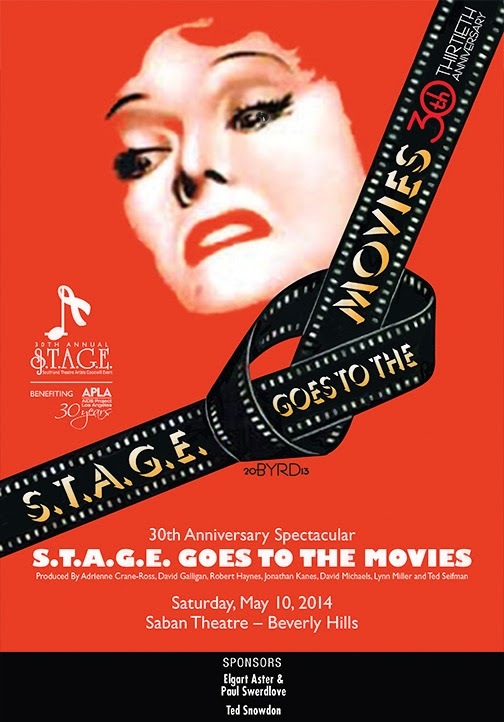 on May 10 at the Saban Theatre in Beverly Hills entitled S.T.A.G.E. Goes to the Movies. 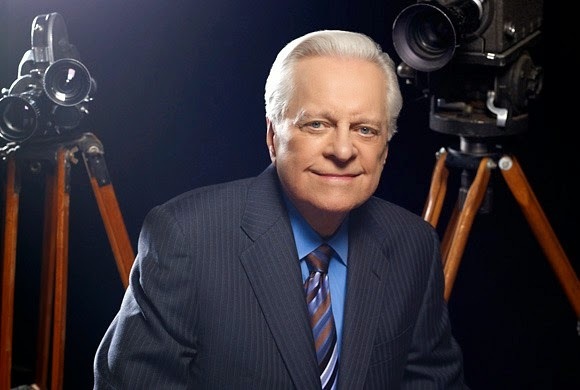 It was such a pleasure to speak with this journalistic giant who brings class and intelligence to everything he does...and who has brightened our lives on a daily basis via the TCM channel. And to think that you can see him live on May 10 is indeed something to look forward to. Tell our readers the role you will play in S.T.A.G.E. Goes to the Movies. It's so nice to have you in this show as the prime authority of film and film stars. If I recall, you did a shorter segment in a S.T.A.G.E. show a few years back that had to do with Fred Astaire and Ginger Rogers. Am I correct about that? Fill us in on the particulars. Yes, I did host a S.T.A.G.E. benefit directed by David Galligan (an old friend) years ago and had a great time, and would have enjoyed doing more through the years but it wasn't possible because of my own work schedule and the fact that the work and my home are both 3000 miles away in New York City. 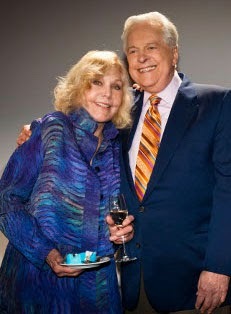 As a huge fan of you and TCM, I am so pleased to be able to thank you for your stimulating work on the channel. You bring so much happiness to so many people. Of all the interviews you've done, I really loved the one with Betty Hutton. Talk about your memories of this if you would. The Betty Hutton interview is my own personal favorite of any I've done -- mainly because she was so open, honest and frightened, and even getting her on the set to do it was like planning an elaborate military campaign. She was terrified because she had been out of the public eye for about 35 years -- didn't look her best, and she knew it -- and didn't want to disappoint the fans who had loved her when she was a major star in the 1940s and 1950s. But once the cameras started going the years dropped away, and she was like the Betty Hutton of old -- kookie, adorable, zany and full of pep. But the killer was the fact that the story she had to tell of her life, tragic from the time she was small kid, was heartbreaking, and her need for affection and acceptance was still paramount in her life. It's the "other side" of being a star that one rarely gets to see so closeup and shattering. I also loved your more recent interview with Kim Novak. It gave me a whole new perspective on her and the positive elements she contributed to film. Give a memory or two of this one, if you would, as well. Kim Novak in her own way was much like Betty Hutton, except Kim managed to survive more fully than Betty Hutton. Kim knew it was time to get out of Hollywood, that it was more destructive than constructive for her, and she's gone on to have a rich, rewarding life on a ranch in Oregon, with a husband she loves and surrounded by animals she adores. That interview especially stands on for a moment in which she had a mini-breakdown, when the pain she felt during her big star days came rushing back to her. It was a great interview because she was so brutally honest about herself. Do you have a favorite of all the interviews that you've done? If so, which one and why? Do you feel that having been an actor yourself helps you appreciate films and performances more? If so, in what way(s)? I feel the most important thing having been an actor has done in helping me in the work I do is that I fully appreciate the amount of talent it takes to make something so difficult (as acting is) look so easy (as the real pros do). I love The Essentials and your conversations with Drew Barrymore and those from before with Alec Baldwin. It's also interesting how you bring guests in who choose their favorite films to discuss. I respect how you share others' opinions of the work. How did this whole concept get started? Did viewers ask for it or was it your idea? explanations were riveting to hear. So I thought. "Wouldn't it be great if others could hear why Sondheim likes The More the Merrier so much." But Steve wasn't able to come in person and do it because of deadlines he had for new show he was writing. Then Bill Cosby was the second one, and he did come on with me and explain his choices in person. And a tradition was born. Who was the first cohost on The Essentials? The Essentials series started with Rob Reiner coming on air explaining why certain films were "essentai"; he did it solo for two years. Then Sydney Pollack did it "solo" for two years. Then Peter Bogdanovich did it for a year and Molly Haskell was asked to do it for a year and she was interested, but not in doing it alone. So they put her with me so she wouldn't feel the full responsibility (doing solo hosting is not as easy to do as you might suppose) and that played very well. So then came Carrie Fisher and me for a year, Rose McGowan and me for a year and just as we were having trouble finding another woman to take over the spot, Alec Baldwin did a Guest Programmer spot with me and he was so interesting, so bright and so up on his classic films we asked him to do a year of Essentials with me, and that stretched into three years. Now we're in our third year with Drew, and that's also been a great delight. Who'll be the next one getting on the ship with me is anyone's guess at this point. I would personally like to see you bring Charles Busch on the program. I'm sure as film historian he would make some very valuable contributions. Any plans for that? Charles has been a guest programmer for us, and did some things at our TCM Film Festivallast April so don't be surprised if he doesn't do more. How much depends on many things, starting with his availability. When you write plays, as Charles does, and also often star in them, it doesn't leave much time for extra-curricular activities. I remember you telling Alec Baldwin in an interview about you that your favorite movie star of all time is Gene Tierney. An interesting choice. An elegant and mysterious lady. Expound on this, if you would. Who are your runners-up for that position? Gene Tierney mesmerized me from the first time I saw her in Laura, and in every movie she's made since, none more so than The Razor's Edge and Leave Her to Heaven. I once had the honor of having lunch with her in the old Cocoanut Grove in Los Angeles and she was everything I'd hoped she'd be -- warm, elegant, sophisticated, and certainly beautiful, still. Other favorites as a moviegoer: Alan Ladd, Henry Fonda, Lauren Bacall, Jennifer Jones, Angela Lansbury and the actor I think may be the best one who ever made films, William Holden. Rare is the movie I've ever seen that I didn't think would be better if William Holden had played the lead in it. Is there any particular movie star that you feel was LUCKY to get there...someone who perhaps should not have gotten that special recognition? If so, why? I think anyone who has made it big in films was lucky to get there. I think some stars who collect Academy Awards and elicit screams when they walk the red carpet owe it all to luck. But that success will slip away very quickly if they don't do as, for an example, both Tony Curtis and Rock Hudson did. They worked, worked, worked to improve their performances, and both turned into Academy Award nominated actors, and became comforable working with actors with the training and DNA of people such as (for Tony) Laurence Olivier, Henry Fonda and Gregory Peck and (for Rock) James Stewart, John Wayne and Charles Boyer. Do you care to mention anything about the Festival this year or the TCM cruises? Love the film festivals (#5 last April and they get better every year) and love the cruises (#4 coming up in October) and very much look forward to them. II wasn't all that keen on the idea of either, initially. It all sounded like a mob scene and a lot of work. Now when people say "Oh, they must be terribly tiring to do," in all honesty I have to say, "No -- no -- they're very invigorating. No way can you gettired when for four days people keep coming up to you saying, "I've never had so much fun. And I couldn't live without TCM coming into my home every day. It comforts me, entertains me, and teaches me. Don't ever let it go away." When people say things like that about the place where you spend the major part of your life, it can't be anything but exciting -- and inspiring,"
Is there anything that you do not do on the program that you would like to do? Adding any new/different segments in the near future? New things are always happening. Changes have to be made for things to keep evolving. But what I'd most like to do is to keep doing basically what we've been doing since TCM went on the air April 14, 1994, digging more and more into various film libraries and showing films which haven't yet been cleared to show on TCM. Also to continue getting younger people to enjoy the beauty of films in black-and-white, and for everyone to enjoy classic films not just on TCM but on big movie screens whenever they are. You haven't seen a movie, be it Casablanca, Raiders of the Lost Ark or The Maltese Bippy until you've seen it on a big, giant movie screen with a big audience. 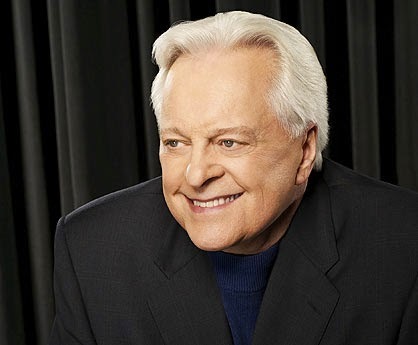 This man is a walking encyclopedia of film: the one and only Robert Osborne, who will be live onstage in S.T.A.G.E. Goes to the MOVIES, which, without a doubt, will be a great, great show... with appearances by Mitzi Gaynor, Lainie Kazan, Donna McKechnie, Helen Reddy, Jason Gould, Richard Chamberlain, Betty Buckley, Debby Boone, Patrick Cassidy, and Robert Osborne's close friend from the days of Desilu in the 50s, the inimitable Carole Cook, who brings the house down every year with her ferocious comic turn... among many many other super talented performers. The best seats are going fast, so go to their website and order your tix online NOW! Remember you are contributing to APLA Los Angeles with every dollar you spend. And remember the date: Saturday May 10 at the Saban Theatre, only 10 days away. Playwright Emilie Beck wrote Sovereign Body, the critically acclaimed drama now receiving its world premiere at The Road Theatre Company. In our conversation she talks about the play and about the cast and creative team of Sovereign Body. Tell me about Sovereign Body without giving away too much detail. The play was inspired by my aunt, who's had Early Onset Parkinson's for over 30 years now. She's always maintained her sense of humor, and she made an offhand joke decades ago to the effect of having an affair with Mr. Parkinson. I'd wanted to write about her experience for years, and that joke stuck with me as I was delving into research. I read a lot of writings by people with Parkinson's, and to a person, they all spoke about the feeling of being invaded. I took that as my entry point: a personification of the disease as invader. How were you motivated to write it? It is so hard to watch someone you care about suffer. It's a helpless feeling, and it brings up a lot of anger, and there's nowhere to direct that anger. You can't harangue a disease. So I did the only thing I could do. I wrote about it. Compare it to other plays or stories you've written. Is is very different? If so, why? I seem to have a theme that I'm drawn to over and over again, which is: How we are changed by our bodies? Or how do our bodies define our personalities? Or how is outside perception of who we are dependent on how we are represented by our bodies? But my plays deal with this in very different styles. SOVEREIGN BODY straddles a very fine line between Realism and Surrealism, and demands a light touch in that balance. My play AND LET THE SKIES FALL falls more into a style of Expressionism, manifesting in gestural and choral work. NUMBER OF PEOPLE is more Absurdist: a one-person play in which the main character, suffering from Alzheimer's, keeps asking the audience who we are. My newest play, HABEAS CORPUS, is much more straightforward, but still takes us on poetic journeys. Who is your favorite playwright? Play? I love Albee's THE GOAT. I'm a huge fan of his work in general, as well as Maria Irena Fornes, Samuel Beckett, Harold Pinter. I think Octavio Solis' LYDIA was under appreciated. And I'm a big fan of the devised work that Anne Bogart does with the SITI Company. Shakespeare is pretty great too. Are there any mentors who have been particularly inspirational to you and your writing? I had a few English teachers in my early years, who really inspired me. 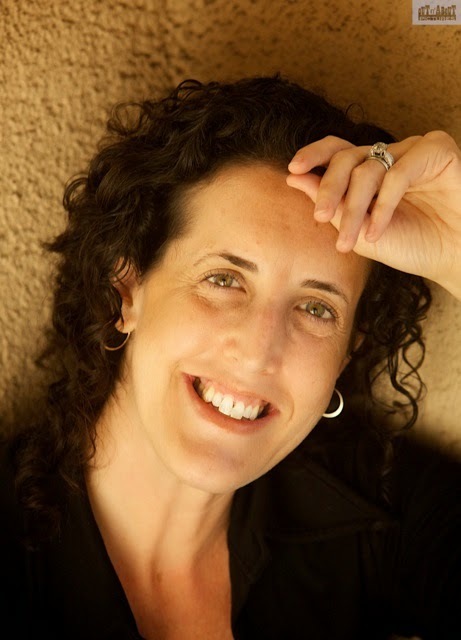 I don't know how connected the kind of writing I'm doing now is to what they taught me, but Yolanda Robbins and Curtis Crotty were major figures for me in 7th, 8th, and 12th grades. In my days as a performer I worked a lot with Mary Zimmerman, and I learned a great deal from her as an auteur. These days I'm very lucky to work with the artistic team at Boston Court. We are in constant conversation about the art of theatre, and they feed and nurture me as an artist. Those folks are Jessica Kubzansky, Michael Michetti, and Aaron Henne, all super smart, all crazy talented, and all incredibly supportive. How has it been working with the Road? Are you happy with the cast and creative team of Sovereign Body? Long ago, when I was an actor, I was a member of the Road company. It's always great to be able to come full circle, to come back to an artistic home. Sam Anderson is a terrific human being, and I felt so welcomed by him as Artistic Director. And of course, it's terrific to have Taylor (Gilbert) in this play. I feel connected to her as friend and artist. I've known Scott for years now. He and I have shared many meals as excuses to talk about art and theatre. And I feel very lucky for the cast as a whole. This play demands smart, committed performances from each actor, but also a strong sense of ensemble. Finding where those two dovetail is surprisingly difficult, but that's exactly where this cast shines.